A deal to claw back hundreds of millions of surplus allowances from Europe’s emissions trading system (ETS) has been hailed as a watershed by environmentalists, MEPs and renewable industry groups. Nearly half of the continent’s emissions are covered by the ETS, the world’s largest carbon market, which sets a cap on CO2 output and forces firms to buy or sell allowances to stay within its boundaries. Recession and lavish handouts to industry have contributed to a glut of around 2bn allowances but a new market reserve will now start removing roughly the same amount from the market in 2019, as the Guardian reported in February. Damien Morris, the policy chief for Sandbag, an environmental NGO, welcomed the agreement as a “landmark” that marked “a huge turning point for Europe’s flagship climate policy”. “After a decade of what seemed like terminal decline, this enhanced stability reserve has the potential to inject new life into the carbon market,” he said. But with another 2.2bn of surplus allowances likely to accrue by 2020, Sandbag says that attention should now switch to tightening the market’s cap as quickly as possible. The deal was agreed in ‘trilogue’ negotiations between the EU’s parliament, commission and member states after wealthier EU countries agreed to commit more allowances to the reserve than poorer ones. The environment spokesman for the Liberal group in the European parliament, Gerben-Jan Gerbrandy described it as “a welcome result that will help put the EU’s climate policies back on track”. The Green party was more guarded, warning that EU climate policy would grind to a standstill without a solution to the ETS’s structural problems. The reserve will work by removing an estimated 1.5-2bn surplus carbon allowances in total, with 610m of them being fast-tracked directly into the reserve. Up to 100m carbon credits will automatically be released back onto the market when carbon prices are ‘short’. But a proposal to allow hundreds of millions more allowances to trickle back into circulation by 2030 did not make it into the final text. Around 50m allowances may be put into an innovation fund to help industry. The reserve’s 2019 kick-off will have disappointed the UK and Germany, which favoured an earlier 2017 start date. But reactions from market analysts were broadly supportive. Sara Deblock, the European policy director of the International Emissions Trading Association said that the move marked “another step to restoring the credibility of the EU ETS”. Allowance prices inched higher on news of the deal but, at around €7.50 (£5.60), are still far too low to encourage fuel switching or investment in renewables. While Europe has pioneered carbon trading as a way of reducing emissions, nearly 40 countries are enacting similar schemes with analysts keenly watching developments in South Korea and China. Regions such as California, Quebec and Ontario have also rung the bell on their own carbon markets and the EU is close to an emissions trading pact with Switzerland, although a report by Carbon Market Watch earlier this week warned that doing so could limit emissions abatement and hoover up public funds. The new ETS reform is now expected to be rubber-stamped by the European parliament by July, and by the European council shortly after. The European Union Emissions Trading System (EU ETS) was inaugurated on 1 January 2005, in order to help achieve the Kyoto Protocol objective of reducing greenhouse gas emissions by 8% by 2012. It sets emissions limits for energy-intensive industries like steel, cement and electricity generation. 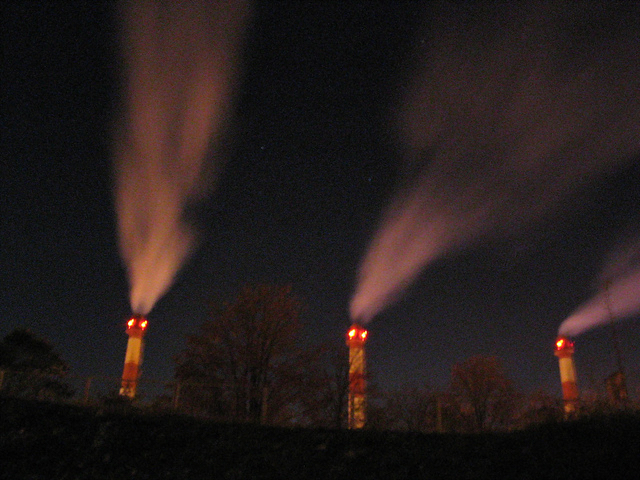 The EU ETS allows member states to distribute CO2 emissions quotas to authorised industries. These industries can then exchange the quotas amongst themselves, on the condition that they respect their own national emissions limit. The revised directive, adopted under the 2008 climate and energy legislative package, changed the ETS from a system of free allocations to an auction in 2013. Certain exceptions were made for high-energy industries with strong international competition, such as steel. Increased costs in Europe could lead to the sector leaving the continent altogether.